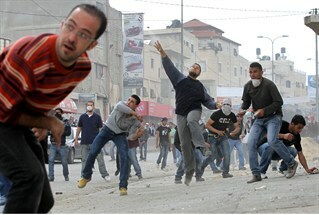 The source of Israeli Arab violence is obvious for all to see and hear. What can be done to stop it is clear as well. 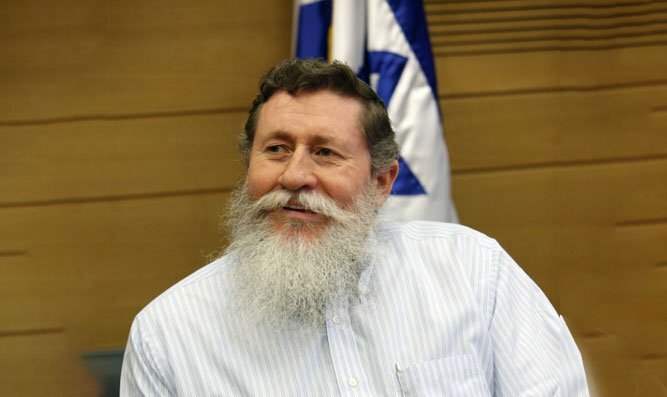 Former National Union Party Chairman and Member of Knesset Yakov Katz, known to all as "Ketsale", is a wounded hero of the Yom Kippur war and a key figure in the development of Judea and Samaria, including the founding of the Beth El Yeshiva and Arutz Sheva. He and his wife Tami live in Beth El where they were one of the first fifteen families to settle the site. The source of Arab violence is the 24/7 incitement on Arab media, where Jews are portrayed as pigs, snakes and monkeys that must be destroyed, even if the appear to be "in the image" of women and children. 1. An Arab has to be an angel to avoid being influenced by the barrage of incitement to violence that he hears all day. That is why compassion will not work here. The more goodwill gestures there are, the more we are despised. 2. The past 150 years have shown that the only thing Arab hooligans understand is deterrence. If we do not implement a policy of "hands-on" intervention reaching everywhere, the present situation in which they reach everywhere instead will continue, as in the biblical words said by the angel who appeared to Hagar about her son Ishmael:" his hand will be against every man, and every man's hand against him". 3. The solution does not lie in pinpointing the family of one terrorist or another. The entire Arab population must feel the strong hand of Israel's government and its armed forces. Today the Arab public barely sees the IDF and doesn't realize its power and strength, so that is not a deterrent anymore. 4. Instead, a terrorist, whether he is a rock-thrower/firecracker hurler/knife wielder/murderous driver/firebomb attacker has to know that as a result of his violence, his entire village will be under 24/7 curfew for at least a month. Closing a village to traffic for a month in Kfar Kana, with no one leaving for work or returning from it, no one going in or out, would result in not one stone being thrown again. We must get to the population through their pockets and they will control the hooligans and terrorists. 5. The economic condition of Israel's Arabs is excellent. One can see it by looking at their homes and cars. They build wherever they wish, pursue whatever careers they choose. Somehow, the Jewish population is always on the defensive and constantly apologizing. 6. In addition, we should bring 75,000 construction workers from China as we did 13 years ago. We must not let construction be dependent on Arab workers.